Our team at AssignmentDesign.com provides homework help, assignment help, online tutoring and project help in Computer Science Engineering at all levels to students of Australia, US, UK, Canada,New Zealand, UAE, Singapore, Malaysia, Saudi Arabia and HongKong. Our team of experts provides help and guidance across various areas in Computer Science Engineering. You will get prompt assistance with the needed explanation from our experts. 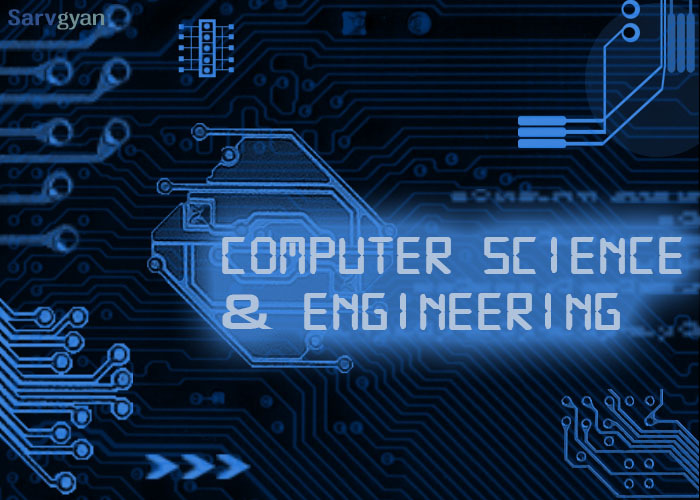 Computer Science Engineering (CSE) is the branch of engineering which is related to the prototyping and design of computing systems and devices. While some topics are similar to those of computer science, computer science engineering keeps its focus on the different ways in which the ideas relating to computing are connected to the physical systems that are working. Computer Science Engineering is a collective study of two different disciplines such as Computer Science and Electrical Engineering. The intellectual foundations of both the disciplinary studies of Computer Science and Electrical Engineering are required for developing for Software and hardware of the computer. Computer Science Engineers are generally associated with the developing of the microcontrollers and microprocessors along with the personal computers, super computers and designing of the circuits. The study of Computer Science Engineering not only sheds light on the working of the systems of the computers, but is connected to the design aspects as well. The students of Computer Science Engineering or computer engineers have to study general engineering subjects before focusing on the core study of computers as this includes a deeper study which is difficult for junior students. Computer Science Engineering includes study of various aspects of the computer components. The students usually choose one or two especial fields to study as major papers. Coding software, Cryptography and protecting the information form one part of Computer Science Engineering where students study about how to protect and keep the information secure. Wireless Networking and Communication is another field of study in the Computer science engineering that has been designed to keeping the communication process in flow. Designing of high-speed networking is also a part of the study. Developing and designing the operating systems and compilers is another field of study that relates with the technique of program analysis. Developing Algorithms and operating systems is also a part of Computer Science Engineering. System architecture and parallel processing are also important aspects of the study of Computer Science Engineering. Other important concepts which are involved in the study of Computer Science Engineering are multimedia computing, VLSI systems, advanced computing, and reliable computing. Computational science, mobile computing are relatively new areas of study in Computer Science Engineering. The career prospects of Computer Science Engineering is also higher as computer is an essential part of the modern day digital communication and has utility in every field as computers are required for study and also in businesses. In businesses, there is high requirement of business computers. Most of the companies want a graduate degree holder in Computer Science Engineering for entry level jobs. Therefore, the need of skilled Computer science Engineers is present in every field. Computer Science Engineering Assignment Help / Computer Science Engineering Homework Help is available at our services in 2 simple steps. Engineering Homework/ Computer Science Online classes below.